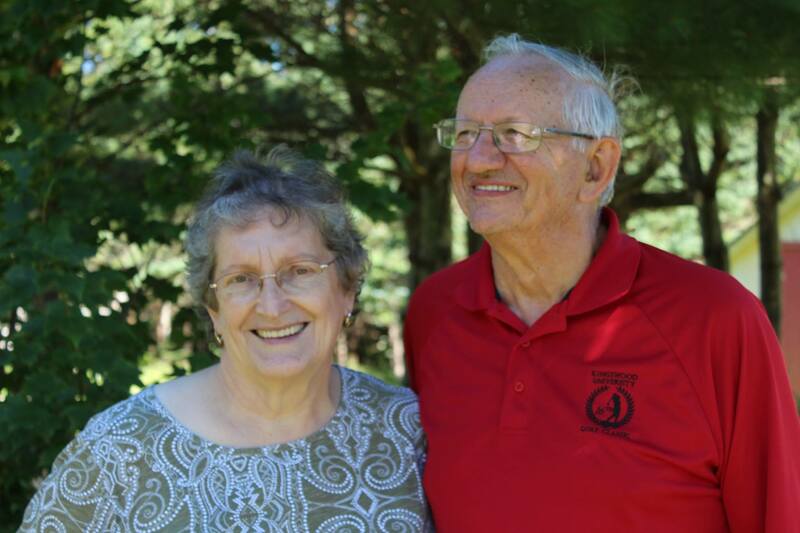 Thanksgiving weekend in 2016 my aunt approached me to tell my that Don had suffered a stroke and wanted to know if I’d be able to come in a few hours a week to help him. On the following Wednesday I started back to work which was the same day I learned that Don didn’t have a stroke but in fact had brain tumours. He passed away the following January at the age of 69. So for the year of 2017 the store was run by our Manager Gary Singer who retired December 31 of 2017 at the age of 70. Which was when my aunt asked me to take over. During the year we accomplished a lot of goals that I had for the store, we painted the front, cleaned and oiled the floors (which we used to do every long weekend but hadn’t been done in over 14 years), we rearranged some aisles without losing the feel of the store which is a goal of mine, to update without losing the feel of the store or the way we do business. I had our first logo designed by a local artist Jessie Jenkins (which is our profile picture), we were featured on CTV news, I take a lot of pride in decorating our store windows especially for Remembrance day. I was a stay at home mom when Brenda approached me to come back. Natasha and her gram who also worked at the store and would entertain her while her parents shopped. 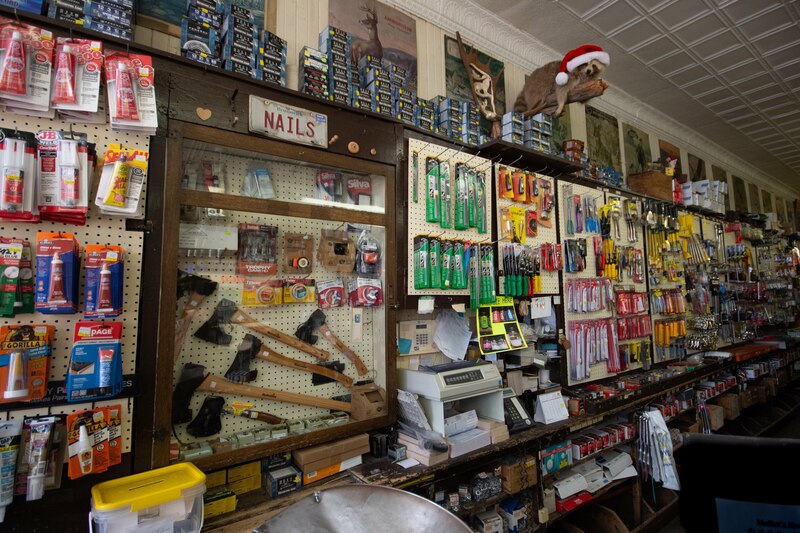 What I love about the store isn’t its products or the building, it’s the customers that come in time and time again and become more like family then customers, its the history of the store helping people when they’ve been in a time of need or down on their luck. Its having the unusual unique items that people have been searching for. its fixing a 200 year old window for someones home that they wouldn’t trust anyone else with but Moffett’s. Mornings like this morning when we had no power but the community knew we would be open and ready to help them when they had no power and were in need of salt and sand. 5 years ago I never would have thought that I’d be excited researching what toilet bowl brushes to buy or what furnace filters were the best but now I take great pride in knowing that we have the right products for our customers. Thank you so much for sharing your story Natasha and for wanting to keep your familys business thriving! Mark and I visited here before Christmas while we were visiting the Pearson’s Market. I loved the vintage vibe in there and the personal attention to service. 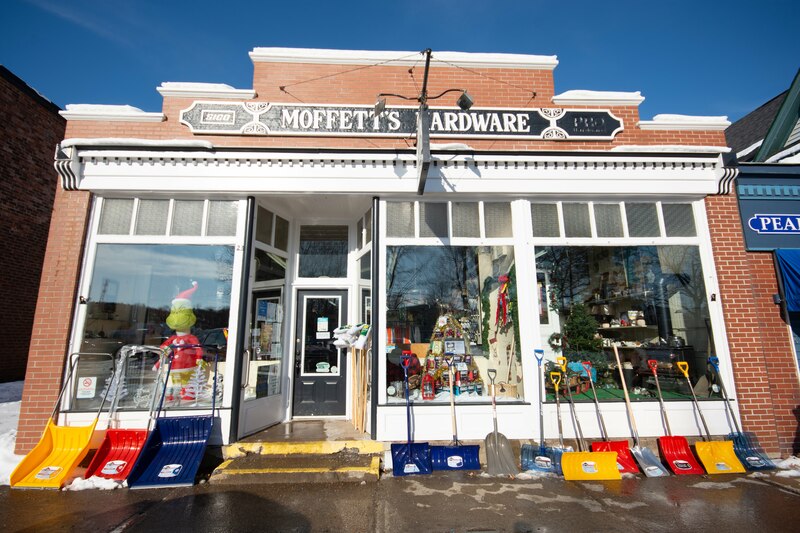 As noted in some of the stories, Moffett’s really does have everything you need , from gifts to paint to nuts and bolts to being able to fix an old screen. They can even look into having something brought in that they may not have. You can even get a lesson on taxidermy and animals while you are here! I am sure there is a story for each of these “deer” animals. Here is 1 last picture of Natasha enjoying the outdoors, a true country girl at heart! If you happen to be near Sussex, which you have to drive by on your way to St. Martin’s and the Bay of Fundy area, I encourage you to stop in to this unique establishment and support this local business. These family businesses are the heart of the community in places in Sussex. Enjoy exploring down the Road to Waterside! See you next time! 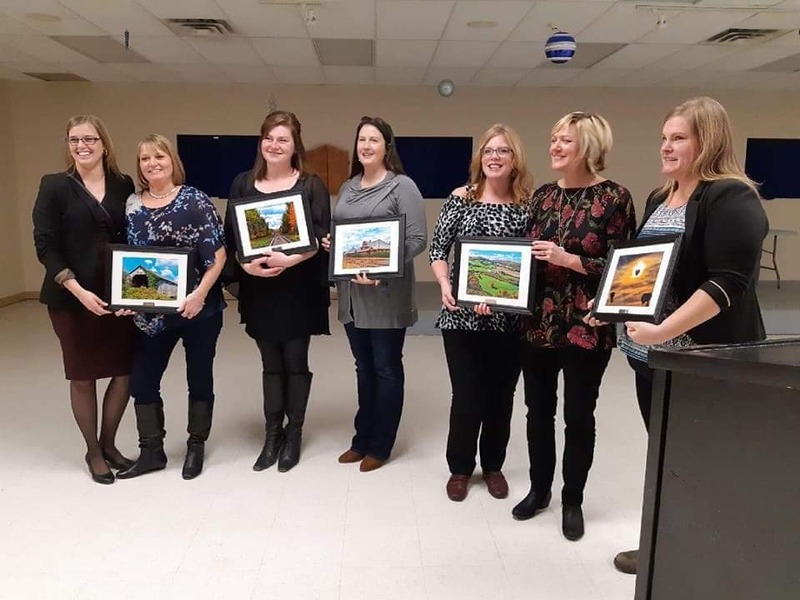 This entry was posted in Touring, Uncategorized and tagged Fundy, local, moffett's, small business, sussex by Sheila. Bookmark the permalink. yes, I liked learning about their different services! 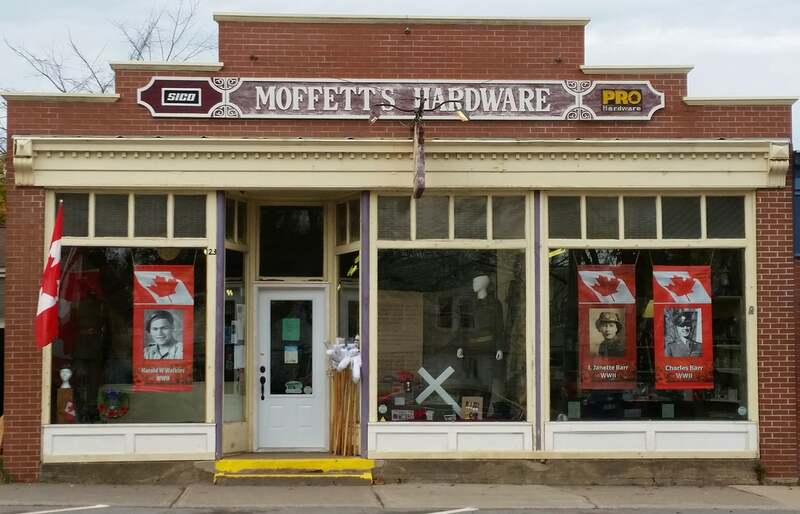 Thank you for writing about this exceptional store and Moffits. They bring so much to this community. Love the store, atmosphere, the servive ..the everything about this store. They are a model to how businesses are successful. Congratulations. You are #1. Though articulate as a writer, I am hopeless when it comes to hardware. Yet, I could go in and say to Don, “I don’t know what you call it, but…” and after semi vague descriptions and many hand signals, he always knew what I needed. Moffett’s is a cornerstone of the community that will even open at 7am in the dark, and hand write your receipt because nobody has power but we all need winter storm supplies. Beautiful! I don’t have the writing skills but like to tell these stories! Thank you! I love this store, my husband who passed in 2016 , always made a point to stop and look around. I still enjoy going in and seeing what’s new and you have everything one needs. The history is amazing. 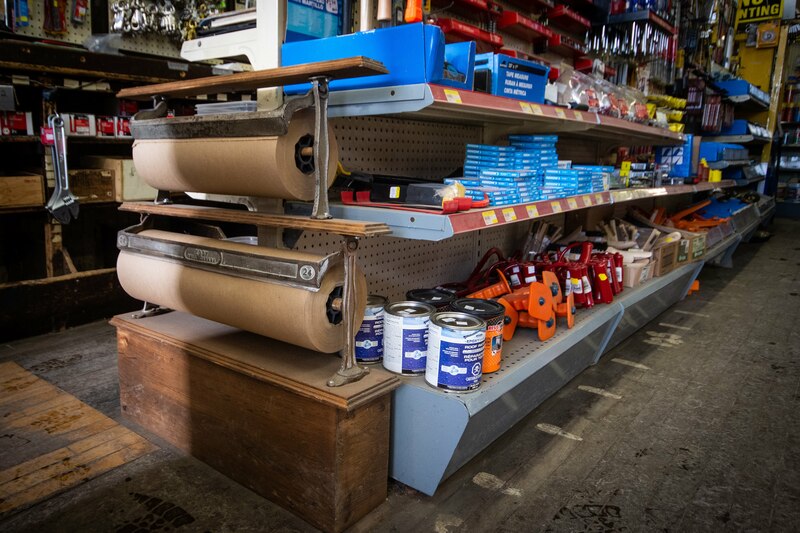 You could find just what you were looking for at Moffets. My dad was buying there back in the thirties. (Bannisters Garage ). I drop in every summer, great family. Barbara. I’m sure they appreciate your support! Thank you! Praise well deserved. Moffat’s is a huge part of what makes Sussex such a unique place to be. Congratulations on your award. 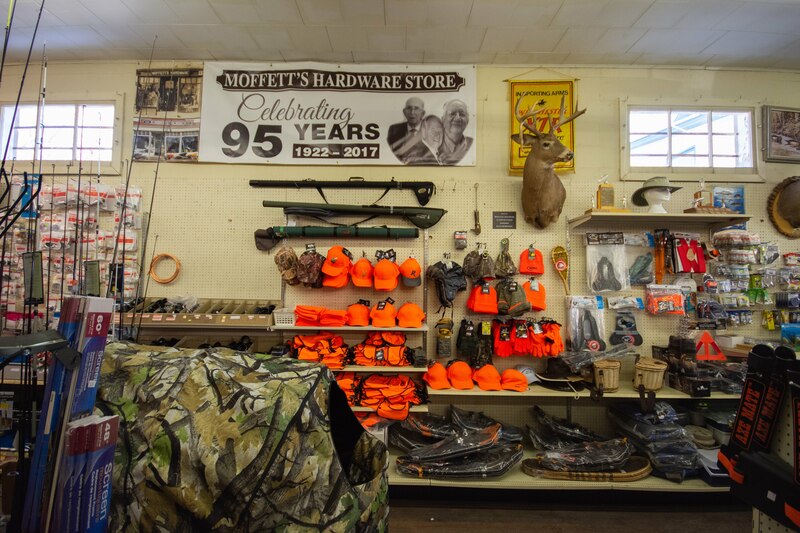 I love going into Moffett’s, the store has so many unique things and the staff are wonderfully knowledgeable. It is like taking a step back in time in one way with how they have chose to merchandise with everything so visible and excessible. So pleased it is staying as a many generational family business. Thanks for sharing this article. All the very best for many more successful years! yes, I loved their personal service and great they can keep going! 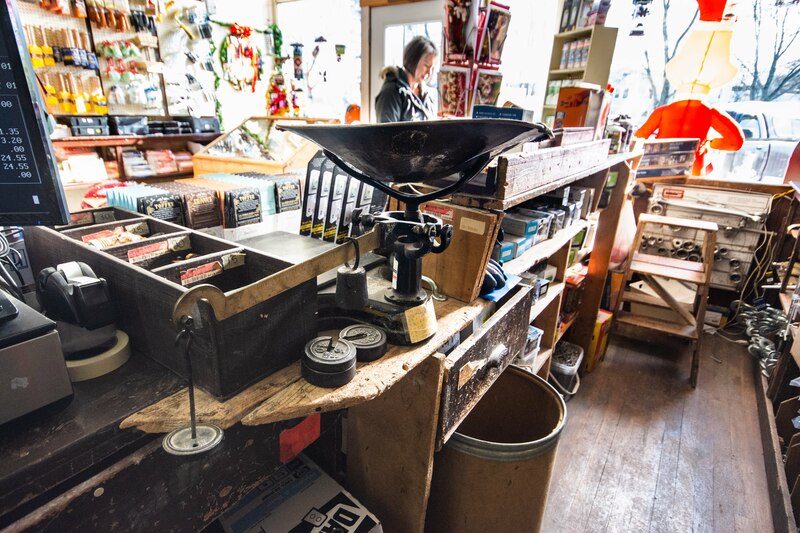 Love this store.Was looking for the old fashion griddle and found them here so bought one for each of my four children.Encourage shoppers from the area to stop in and support this vintage establishment.Great place to buy gifts or anything you might need. Wonderful to have such a historic business in the lovelylittle town of Sussex, N.B.